Because of their geomorphological and sedimentary records, rivers provide relevant archives of palaeoenvironmental change, namely palaeoclimatic and palaeogeographic. Well-dated long-term sedimentary successions sequences are of the most value, with the ages of sedimentary events, included fossils and archaeological materials provided by a range of numerical dating techniques. The Quaternary fluvial archives of the Tejo River in Portugal (the Lower Tejo) can provide important data for studies of landscape and sedimentary evolution, but also of the early human occupation. The present state of art achieved by using methods of geomorphology, lithostratigraphy, sedimentology, archaeology and absolute dating in the study of the Lower Tejo River T4 terrace is here summarized. The Lower Tejo has staircases that comprise a culminant sedimentary unit (the ancestral Tejo River, before the beginning of the fluvial incision stage) and six terraces (T1 to T6) located above the modern alluvial plain, with details as follows: T6 at +7-10 m (above river level), 64-32 ka, with Late Middle Palaeolithic (late Mousterian); T5 at +18-26 m, 136-75 ka, with Middle Palaeolithic industries and Mousterian knapping (Levallois); T4 at +34-48 m, ∼340-155 ka, with Lower Palaeolithic (Early to Late Acheulian) to early Middle Palaeolithic; T3, T2 and T1 do not contain archaeological materials and only from the T3 (+43-78 m) and T1 (+84-164 m) finite absolute ages were obtained. The prehistoric human occupation of this area is of renewed interest because it contains evidence for an extensive Palaeolithic occupation. Related archaeological sites are present on both sides of the river, from the vicinity of the Spanish border (Vila Velha de Ródão; upstream) to the Lisboa area (near the river mouth). This work focuses on the Palaeolithic sites that were found on the T4 terrace, which is made of a basal Lower Gravels unit and an overlying Upper Sands unit. The oldest artefacts previously found in the Lower Gravels unit of the T4 terrace, display crude bifacial forms that can be attributed to the Acheulian, with a probable age of ca. 340 to 325 ka. In contrast, the lower and middle stratigraphic levels of the T4 Upper Sands unit has archaeological sites stratigraphically documenting successive phases of an evolved Acheulian, that were dated as ca. 325 to 200 ka. Notably, these Lower Paleolithic artisans were able to produce tools with different levels of sophistication, simply by applying different strategies. More elaborated reduction sequences were used in case of bifaces, and simpler reduction sequences to obtain cleavers. The differences observed in the lithic assemblages documented at each of these sites can be attributed to a certain degree to particular economic functionalities. But, simultaneously, taking into account the stratigraphic position of these sites and the global technological and typological characteristics of the most relevant tools types (bifaces, cleavers, side-scrapers) we are also impelled to consider the occurrence of local evolutionary chronological trends. In stratigraphic levels at the top deposits of T4, Middle Paleolithic industries have been found and probably date as ca. 165 to 155 ka. In the context of the human settlements of the Middle Pleistocene recognized on the terraces of the Tagus River in Portugal, most of the sites mentioned here in detail, contained in sedimentary deposits of the T4 Terrace and with a chronology of ca. 340 ka to ca. 180 ka, belong to the Lower Paleolithic. 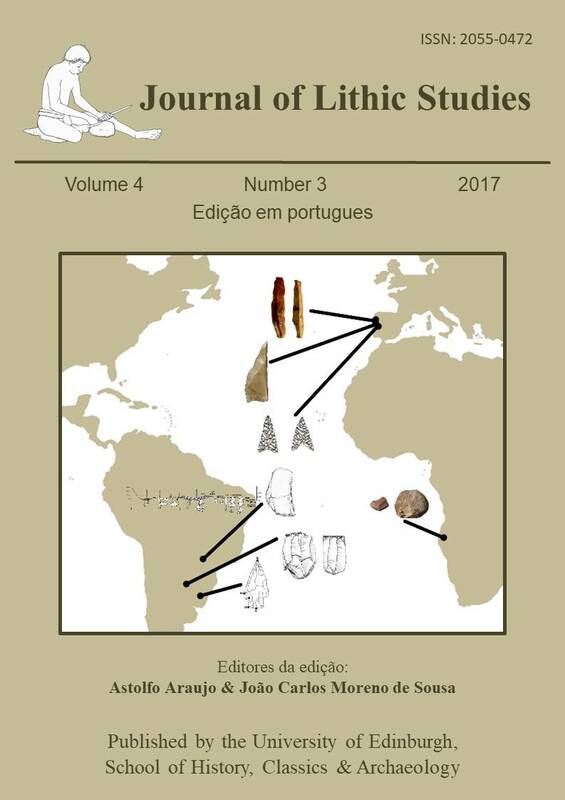 The data currently available seem to suggest the possibility of some variability in the lithic industries, if we consider sites with bifaces and hand axes, such as those of Monte Famaco and Vale do Forno (VF1 and VF8), with bifaces, but without axes as in Castelo Velho, to the sites of Fonte da Moita and Ribeira da Ponte da Pedra, where there are industries rich in fine pebbles and rare bifacial pieces. However, it should be pointed out that the specific reality of each of these sites is not comparable with the rest. In fact, this variability is further accentuated when the cave sites of the Almonda spring are introduced into the equation. The correlation of the already known results and the ones to be obtained in the future with the reality of other regions and with other contexts also already identified in the region, as is the case of the recent findings in karst cavities will not fail to enrich the discussion about the variability of the data known. Cunha-Ribeiro, J.P. 2011, A jazida Paleolítica de Castelo Velho (Riachos, Torres Novas). Novos elementos para o seu estudo: a indústria lítica do locus 2. Estudos do Quaternário, 7: 5-17. (em português) (“The Palaeolithic deposit of Castelo Velho (Riachos, Torres Novas). New elements for its study: the lithic industry of locus 2”).